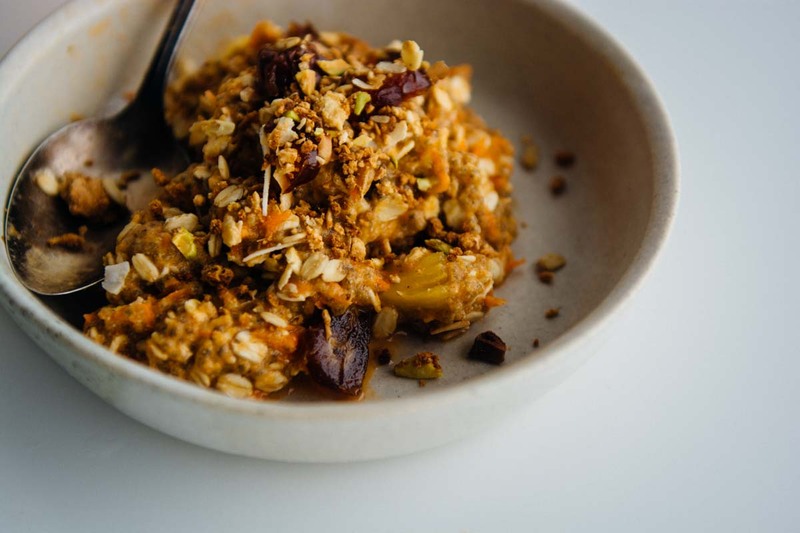 I know that overnight oats are everywhere, but there is a reason, they are delicious, easy to prepare and infinitely variable. I love carrot cake in case you didn’t know. 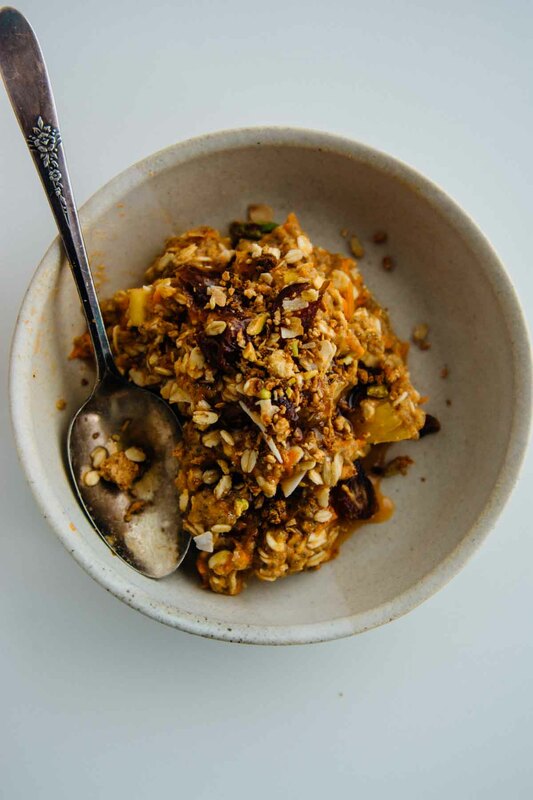 I’ve posted a vegan carrot cake, a smoothie, a baked oatmeal and snack bites so why not use one of my favorite flavor profiles in my morning oats? 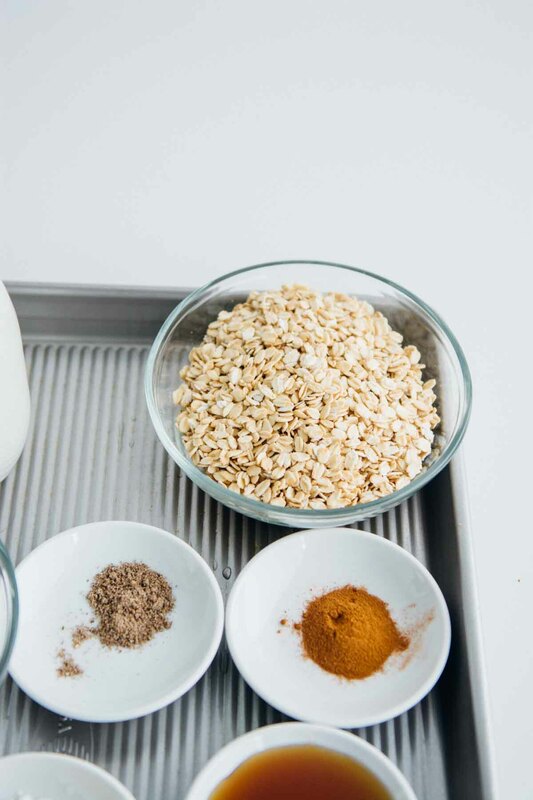 I’ve made this into a bit more of a project by blending all the ingredients before adding the oats, but it creates a more complex flavor overall with minimal effort. After mixing, you can pack it into mason jars and then you have breakfast for the whole week! This is the only way that I really like to eat oatmeal myself. 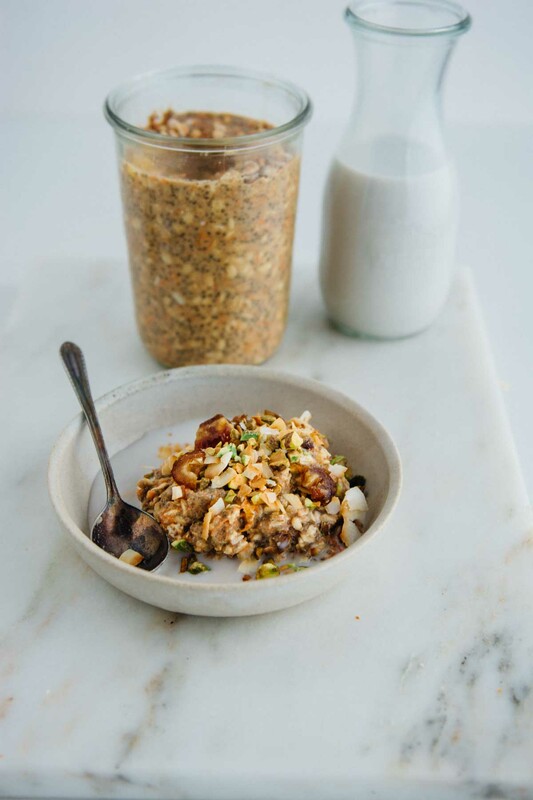 The oats keep their texture and don’t get gummy or mushy the way they seem to do on the stovetop. They are delicious straight out of the fridge, but you could also pop them into the microwave for a minute or so before you add the toppings. 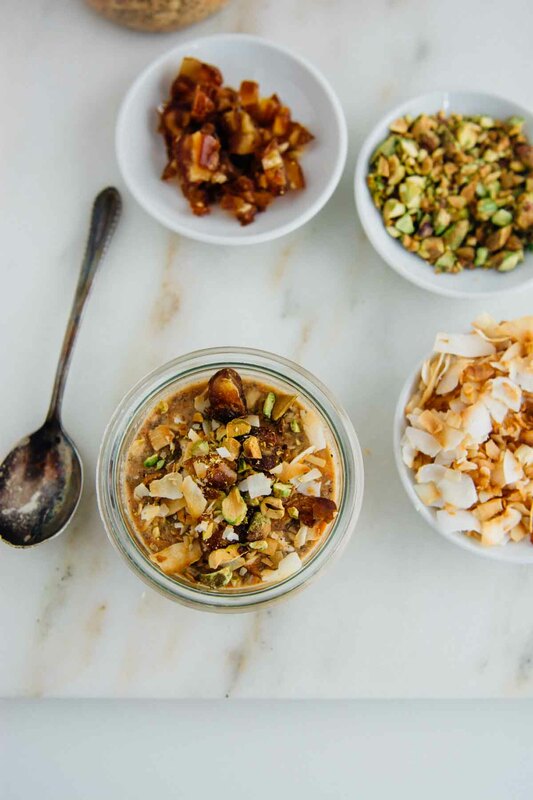 You have the option of adding the toppings to the jar as you pack them, but I prefer to dress them right before eating to maintain texture and crunch. 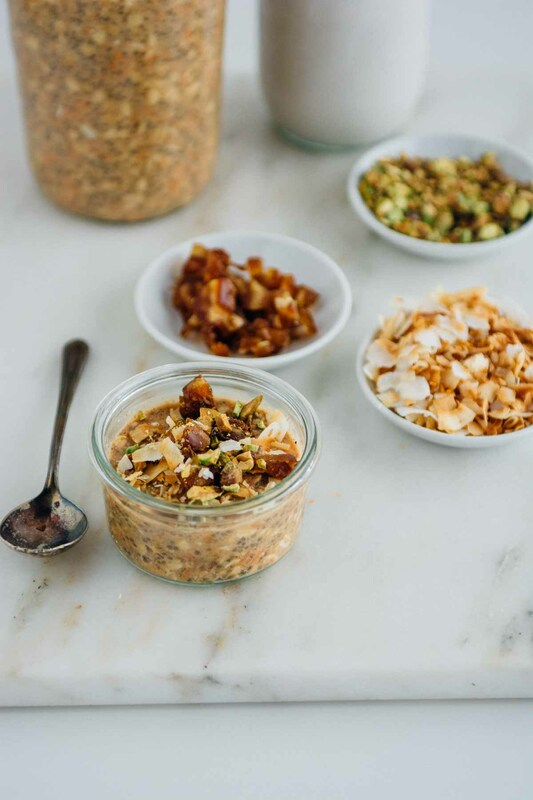 As far as toppings go, I went with some chopped dates, toasted coconut, and pistachios. 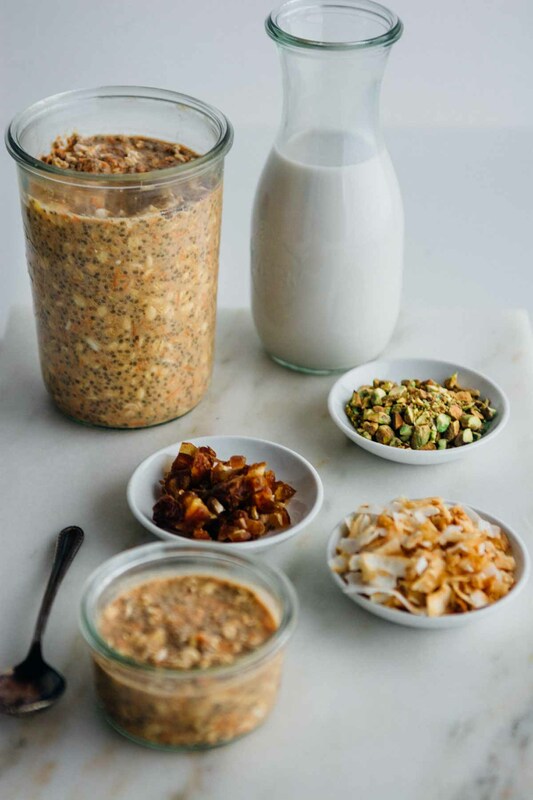 Feel free to go crazy with the toppings, pumpkin seeds, w or hazelnuts would all be great options. I think poppy seeds or sesame seeds would also go great here. If you aren’t a strict vegan a little drizzle of honey is also lovely. 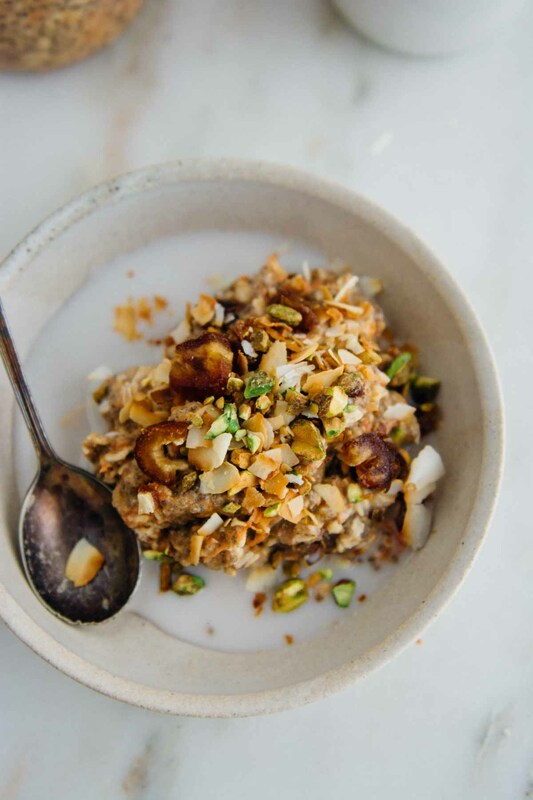 What’s your favorite way to enjoy your morning oatmeal? I’ve made a video for you to see how easy it is to make! Eating well doesn’t need to be complicated. 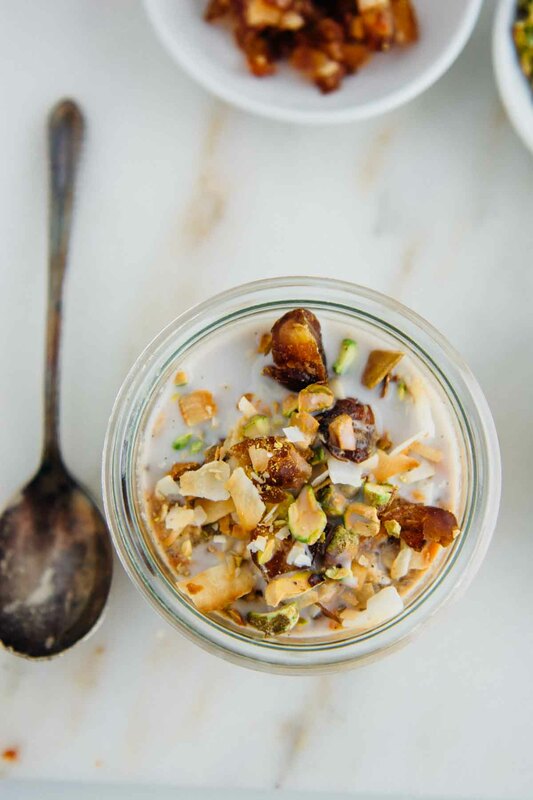 I am much more likely to eat well if I prep ahead of time and overnight oats are a no-brainer in the convenience department. 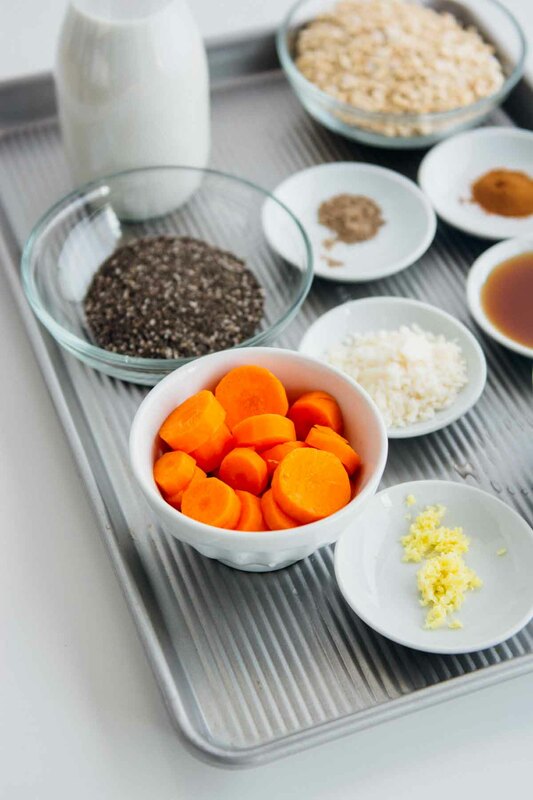 In a high-speed blender combine the almond milk, pineapple, carrot, ginger, coconut butter, vanilla, cardamom, cinnamon, kosher salt, and maple syrup and blend on high until smooth. 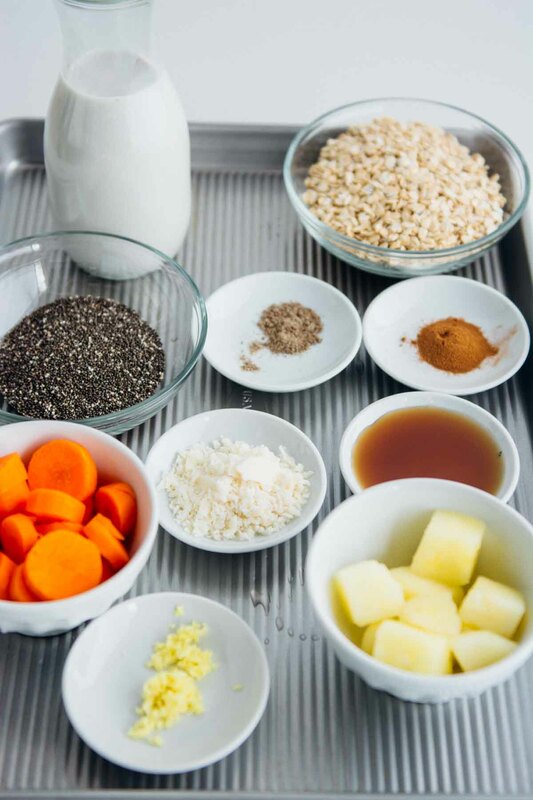 Add the oats, chia seeds, carrot, and pineapple to a large bowl and pour the almond milk mixture over the top. Stir well to combine and then place in a covered container or 1-pint jars and let set in the refrigerator for at least one hour, preferably overnight. 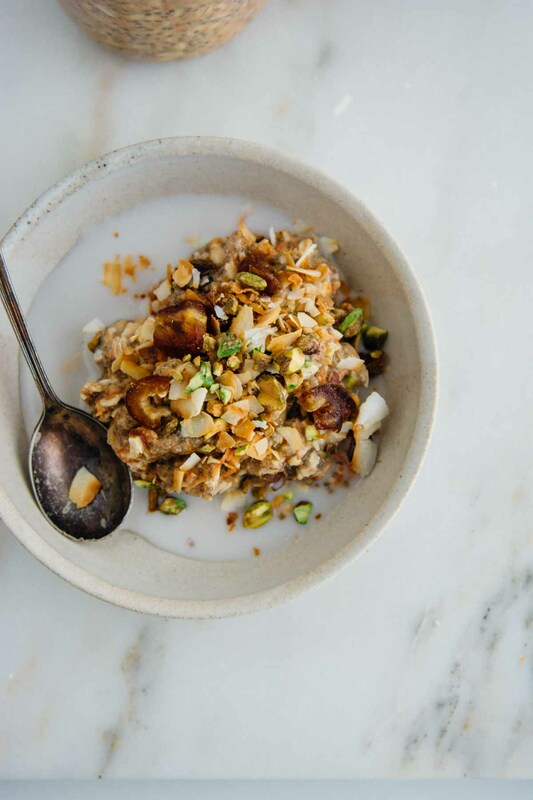 To serve, top with chopped dates, toasted coconut, and pistachios.